• A review of the literature discloses 56 cases of bronchial adenoma in children under the age of 16 years; we now report two additional cases. 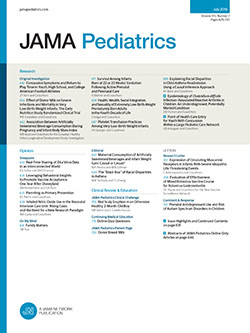 The diagnosis of bronchial adenoma in children is often delayed due to erroneous interpretation of the secondary manifestations of pneumonitis, fever, or wheezing. These tumors should be considered potentially malignant, since local invasion and metastasis have been reported in this age group. Treatment is by thoracotomy with total excision of the lesion.